Cave Saint-Verny is a co-op in the département of Puy-de-Dôme in the Auvergne, in the far north east of France’s Massif Central. Auvergne has a long wine growing tradition that dates back to Roman and Gallic times. Saint-Verny is a small, highly dedicated, 65-grower cooperative that worked diligently to establish AOC status for Cotes d’Auvergne in 2011. Prior to recognizing its independent AOC status, the area was considered an extension of the Loire Valley, and its unique soil and topographical attributes had not been formally recognized. The vineyards stretch across 170 hectares from Riom in the north to Issoire in the south. The vines grow on volcanic soils, which contribute a real mineral driven character to the wines. The focus is on the vineyards with a minimalist approach in the cellar. A cooperative structure allows these passionate growers to realize the benefits of their efforts in their vineyards, as it would not make economic sense for them to bottle fruit from their small plots independently. 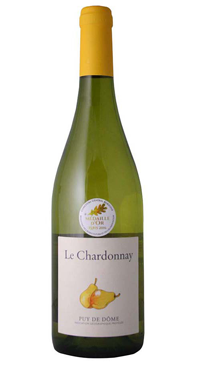 Delicate primary tree fruit on the nose, medium weight and acidity with flavours of ripe Anjou pear.